Jungle safari in Nepal is one of the most amazing trips, as it is rich in exceptional biodiversity and a beautiful natural environment. Nepal has 16 national parks, wildlife reserves and conservation areas, occupying 16 percent of its total geographical area. 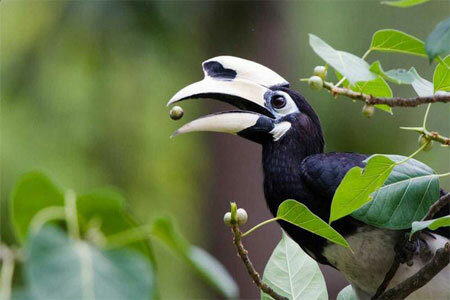 Nepal offers scenic views of some of the rarest and most endangered wild-lives on earth in these jungles. Jungle Safari is a very amazing experience for any visitors who love to stay in these parks and take part and organize jungle safari and other activities. The parks, wildlife reserve and conservation areas are the great place to spend holidays with family members, organize jungle safari and wildlife adventure trip. Nepal is not only the home of the highest and the most magnificent peaks in the world but also the home of tropical jungles especially in the Terai, the southern lowlands of the country that preserve some of the best wildlife habitat in the subcontinent. This area is covered with dense tropical jungles and is home to thousands of birds and animal species, including some of the world's most exotic and endangered species. Due to increases in population, deforestation, and illegal poaching, the natural habitats of animals like One-Horned Rhino, Royal Bengal Tiger, Snow Leopard, Red Panda, Blue Bull, and the Gharial Crocodile are being destroyed, and leading these creatures to extinction. 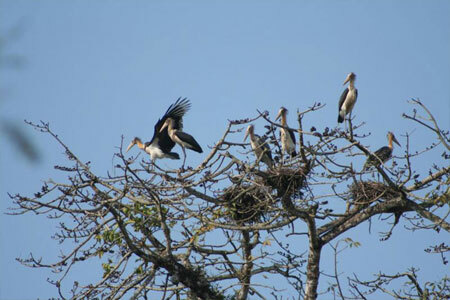 The outdoor adventure sports into the wilderness to see wild animals, birds and natural beauty. You can ride on the elephant's back or on a four wheeler jeep accompanied by a fully trained guide (also known as expert Naturalists) for the love of nature and animals. Chitwan and Bardia are two hot spots of having experience to such activities. For instance, Chitwan, as this is Nepal's most popular National Park offering excellent opportunity to see Royal Bengal Tigers, One horned Rhino, crocodile and thrilling wilderness experience into its deep and thick jungle. Another instance in Bardia, as this is another National Park, which offers excellent jungle safari. In Bardia as well, you can ride on an elephant or a take four wheel to discover some of Nepal's unspoiled natural habitats. Advent Himalaya is well experienced in organizing jungle safari and wildlife safari adventure trip for the travelers, as it has in depth experience relating to the field. What is Jungle Safari all about? : When you visit a new country, you often meet new people and new places. Ever wondered meeting new Animals and natural beauty? Jungle Safari let's you do just that! It is also a way to pay your respect to the animals by indulging in this outback adventure sports which brings you closer to the nature. When you visit Nepal, add the Jungle Safari in your `To-do List'. You won't regret it. Jungle Safari - The fourth most popular adventure sports in Nepal: The ooutdoor adventure sports into the wilderness to see wild animals, birds and natural beauty. You ride on an elephant's back or on a four wheeler jeep accompanied by a fully trained guide (also known as expert Naturalists) for the love of nature and animals. In Nepal, Chitwan and Bardiwa are two hot dishes on the menu. 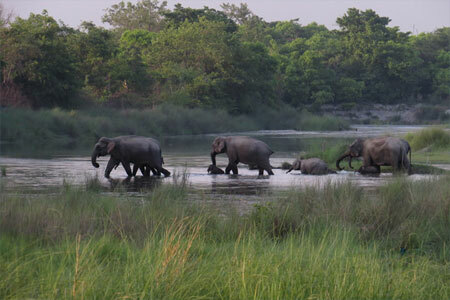 Pick Chitwan as this is Nepal's most popular National Park offering excellent opportunity to see Royal Bengal Tigers, One horned Rhino, crocodile and thrilling wilderness experience into its deep and thick jungle. 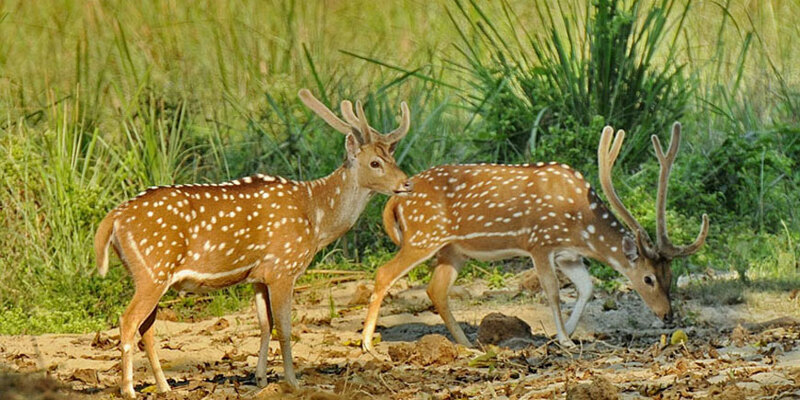 Pick Bardia also, as this is another National Park, which offers excellent jungle Safarii. Here too you can ride on an elephant or a take four wheel to discover some of Nepal's unspoiled natural habitats. Most jungle Safari consists of canoe rides on the jungle rivers, nature walks, birds watching excursions and quick tours around the villages to discover unique culture and traditions of the local village people. There are also scheduled cultural-musical programs performed by the villages, which are also in the Jungle Safari itinerary. Chitwan and Bardiwa have excellent accommodation facilities right in the jungle so one can start and relax at ease. National Parks in Nepal: Most Safari begins from a park, hence its worth noting here, the national parks in Nepal, they are the places to go for Safari in Nepal. Whatever you chose to see, Nepal has an ideal Safari destination for you.